Planning a wedding can be stressful but the decorating of your chosen venue does not have to be one of your problems. Our experienced & friendly team offer you a full and professional service, from initial designs & ideas, to the full set-up on the day. 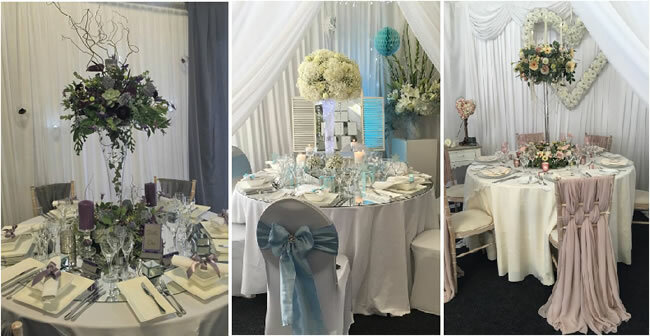 We offer everything from ceiling drapes & backdrops, stationery & table decoration to a wide selection of centre pieces. We work hard to transform your venue ready for the wedding you have been dreaming of!